Screens dominate almost every room in our homes, but to date they’ve only made minor inroads into the kitchen. You’ll mostly find them sequestered onto tiny fridge doors, but GE wants to change that with its new Kitchen Hub range hood that hangs a 27-inch interactive screen over your stove. Like any range hood, the Kitchen Hub will help ventilate the area directly above your stove to help keep food smells out of the rest of the house. But that’s definitely this appliance’s least notable feature. It’s the Kitchen Hub’s 27-inch touchscreen display that’s the star of the show, and it could potentially turn users into Instagram stars among their foodie friends. Powered by Haier’s U+ Smart Life platform (remember, Haier bought GE’s appliance division back in 2016) the internet-connected Kitchen Hub can be used to search for recipes, check and manage your family’s calendars, connect to other GE appliances so you can, for example, keep track of when the laundry is done, and even make video calls using its front-facing camera. 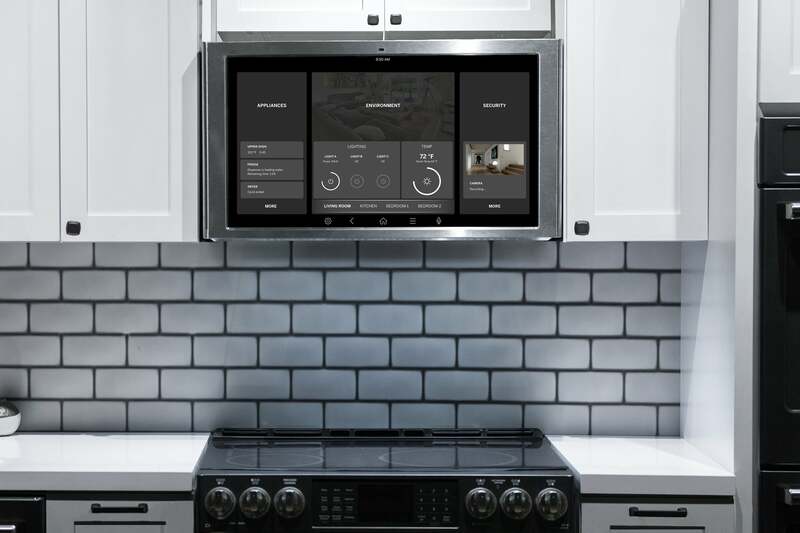 But the Kitchen Hub’s most effective selling feature will undoubtedly be its second camera that points straight down at the hob so you can easily photograph and share your culinary successes on Instagram. The range hood even has additional lighting so your food will look as good as it does on Masterchef as it’s frying, boiling, or sautéing.